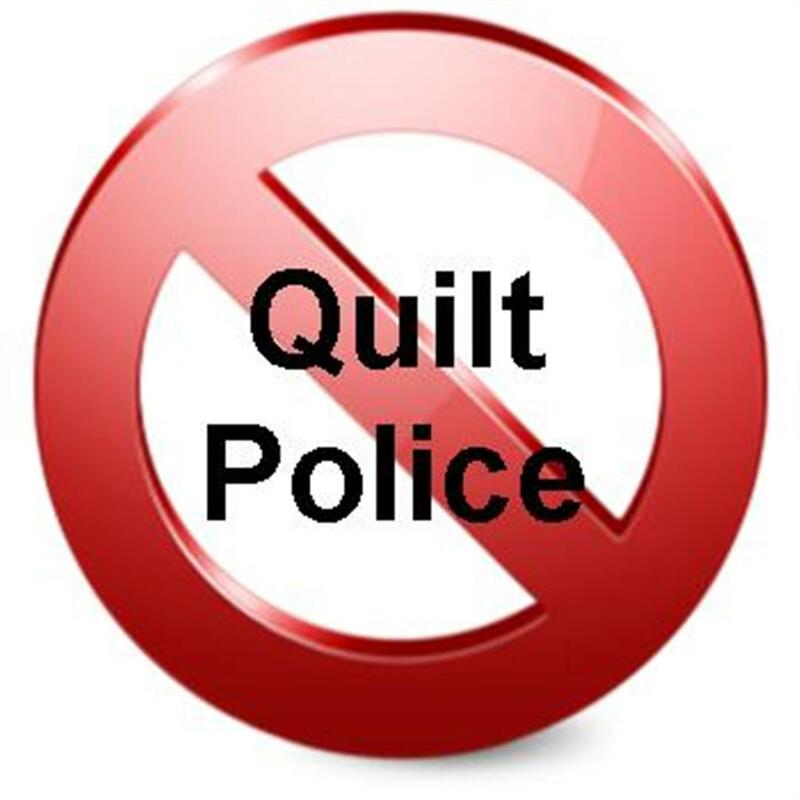 If you are a quilter, surely you have heard from the quilt police. I have now officially banned them from my realm of quilting. Quilting is my kingdom of joy! I will no longer pay attention to comments like, “she only makes quilts from patterns.” Isn’t that why patterns exist? I sometimes design quilts, but am just as happy to use a pattern. “Her quilts are all so easy, no wonder she gets so many done.” I work with a wide range of difficulty. Sometimes I love to really challenge myself. Other times cutting squares and chain piecing can be such great therapy. I make what I like and love. Period. “She pays a longarm quilter to quilt her quilts, so the quilt isn’t really hers.” Oh how I disagree with that one. Longarm quilters exist for a reason and I am so glad to pay them for their talents! On occasion I will quilt my own on my domestic machine, but I don’t really enjoy it very much, so why torture myself?! And no, I will not spend the big bucks for a long arm and frame. And yes, I did make that quilt! I could go on and on about the negative comments I have heard about quilters – not just myself but others as well. I am a “GOOD ENOUGH” quilter, and that is good enough for me! Note to the Quilt Police – you are banned from my kingdom! Amen! I am getting a long arm machine soon, but it’s because I like the quilting more than the piecing! I think everyone should do what makes them happy and everyone else can just let them be! Thank you. Enjoy your long arm! Once we get our own internal Quilt Police in line, I think we are more able to ignore the external ones. Double Amen!!! 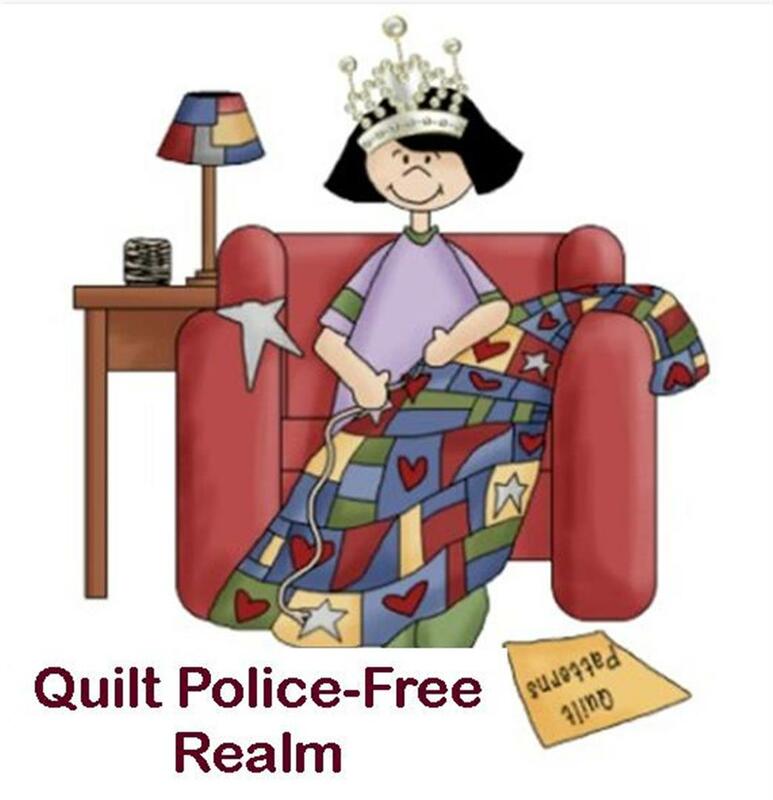 So agree… Quilting is for fun and therapy… Just say no to Self-appointed quilt police!! Remember.. We are free… Free at last!!! I’m not fond of the quilt police myself either. I make what I want to make and I don’t care. I do put some quilts in shows that are judged. I’ll listen to those quilt police for ways I can be better. But design and color are all so individual – what one person will like another won’t. If I don’t like a quilt it’s not a reflection on the maker but it’s just not my thing. I don’t email or comment on their blogs or on FB/IG and say that, I keep that to myself. I just scroll by.